This elegant townhouse owned by Sarah Jessica Parker and Matthew Broderick was listed for sale in 2012 for $25 million. It is located in Greenwich Village (the Gold Coast area) in Manhattan, New York City, just off Fifth Avenue. 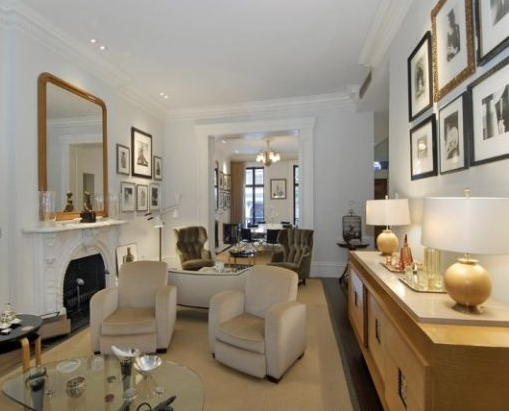 Sarah Jessica Parker and Matthew Broderick had purchased this piece of real estate property in March 2011 for $19 million, after years of looking for a suitable townhouse. However, both these actors had issues over privacy regarding the townhouse location, which is believed to be the main reason why they decided to sell it, just 18 months after buying it. 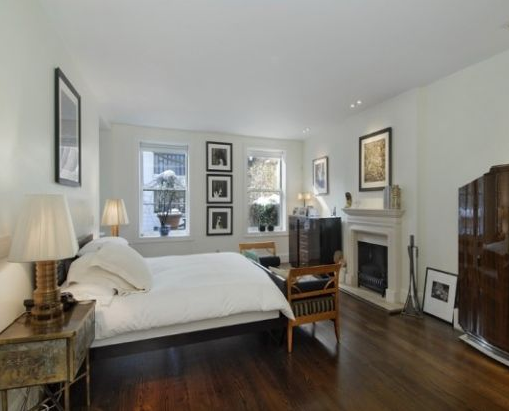 During this period, Matthew Broderick and Sarah Jessica Parker spent loads of money on refurbishing the place; and as they never moved into it, this New York townhouse is in mint condition. Matthew Broderick and Sarah Jessica Parker’s Greenwich Village townhouse is built in the Greek-Revival style, and has a total of 12 rooms, which includes six spacious bedrooms. The front door leads through the stair hall to a huge parlour, with high ceilings and two fireplaces. This townhouse has five floors, and is one of the largest mansions in the Greenwich Village area of Manhattan, New York. 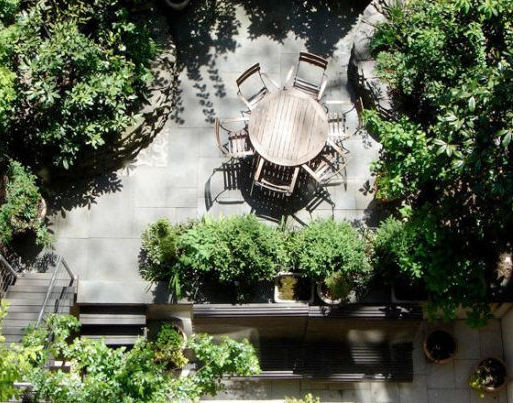 The ground floor of the Sarah Jessica Parker and Matthew Broderick’s Manhattan mansion is known as the ‘garden floor’. It has a massive Boffi kitchen and breakfast area, and offers access to a beautiful outdoor garden where the occupants can dine in the fresh air. There is also another garden on this Manhattan property, namely, the south-tiered garden. This garden can be used for holding parties and small events. On the third floor of this $25 million mansion are three bedrooms, each with its own big closet. There are also two full bathrooms on this floor. The master suite is located on the entire fourth floor, and features multiple walk-in closets, a huge bathroom and a south-facing terrace. The fifth floor is an impressive loft-like space, which can be modified in a variety of ways, to include additional rooms. This Greek-Revival style stately New York mansion has high, wide windows, which fill the rooms with light, when the curtains are drawn back. It also boasts of hardwood floors, granite countertops, seven fireplaces, a well-stocked library and a modern security system. The walls of almost all rooms are painted a glowing white. Other people with homes in the same Gold Coast-Manhattan neighbourhood include billionaires Sean Parker (Facebook co-founder) and Sergey Brin (Google co-founder).